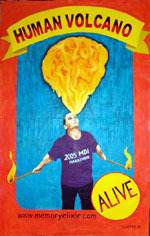 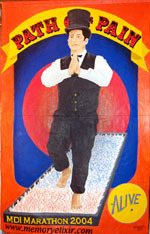 Sideshow banner artist Paul Szauter works in acrylic to produce sideshow banners that evoke the sideshow banners of the mid-twentieth century. 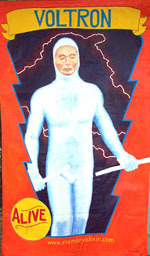 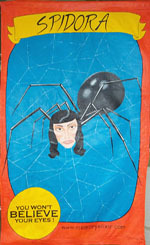 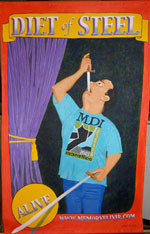 Most of these sideshow banners have been used in performance and some have been exhibited in art shows. 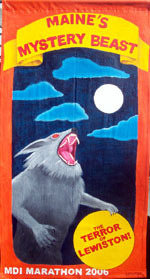 Sideshow banners with a red dot by the title have been sold. 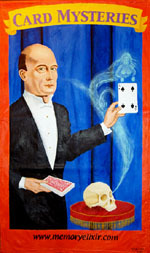 Buy a sideshow banner from Dr. Wilson! 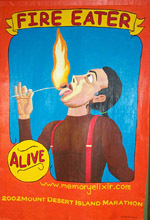 See more sideshow art in the galleries at Sideshow World!